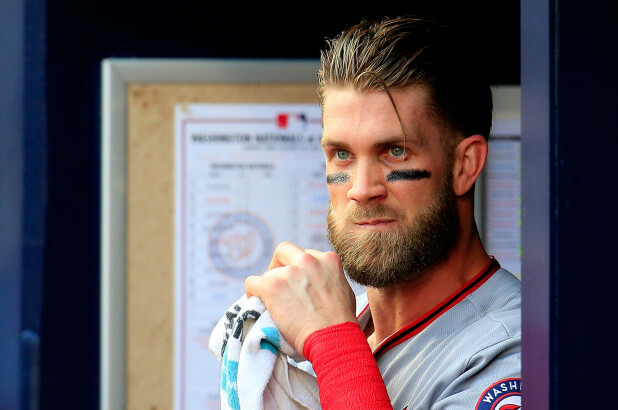 Some Phillies fans believed they had signed Bryce Harper over the weekend, but not so fast. A phony Twitter account using the name “Jeff Evans” fooled hundreds, perhaps thousands, of Philadelphia fans when the account tweeted the Phillies had reached an agreement to sign the prized free-agent slugger. The account, which featured a phony portrait shot from a photography company, had Evans claiming to be a contributor to 97.3 ESPN. 97.3 ESPN program director Mike Gill told the Philadelphia Inquirer that Evans never worked there. Evans isn’t actually a journalist — it was a fake account that Phillies fans took as bait and spread around the tweet, which had reached more than 730 retweets after it was posted on Sunday night. Evans claimed to be an insider for KTV, which is just an abbreviation for karaoke television. The account had no blue check mark to show Evans is a verified journalist. The account was created in October. The account was suspended Tuesday. Another account using a similar handle, “JeffEvansmIb,” popped up before it was deactivated as well. Some believe the Harper sweepstakes could end Tuesday based on a vague tweet by the “MLB The Show” video game with Harper wearing a promotional New Era ball cap. Harper will be on the cover of this year’s video game, sporting the jersey of his new team. The Phillies are believed to be in on both Harper and Manny Machado, the two prized free agents this winter.